I have had the pleasure of serving with the American Red Cross AmeriCorps program with an emphasis on Service to the Armed Forces for a little over two weeks now. In this short amount of time, the team has welcomed me with open arms. With training, team bonding and facility tours, the American Red Cross has made me thankful for all the time and energy that is put into our volunteer programs. From serving the Spokane Veterans’ home a fabulous barbecue lunch alongside active duty members of the Air Force, to meeting with Comfort Cart volunteers at the Mann-Grandstaff VA Medical Center, I have been able to see firsthand the impact that the Red Cross SAF program has on our local military community. This was just a small glimpse of all the people in our community that are working towards the whole and well-being of those around them. I was also privileged in being introduced to the 92nd Medical Group Vice Commander, Captain Seefong, and Lt. Col McIntosh to get a kick-start on our Volunteer program at the Fairchild Air Force Base Clinic. I look forward to creating a community wide impact base through further development of this program. 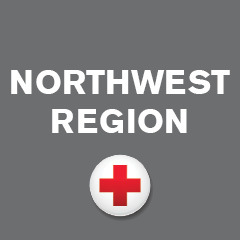 The American Red Cross volunteers that choose to increase efficiencies of this mission, will be able to walk away with job related training and experience.